Welcome to this amazing villa! It’s simply luxurious and tastefully appointed. Gorgeous Bay Views surround you. 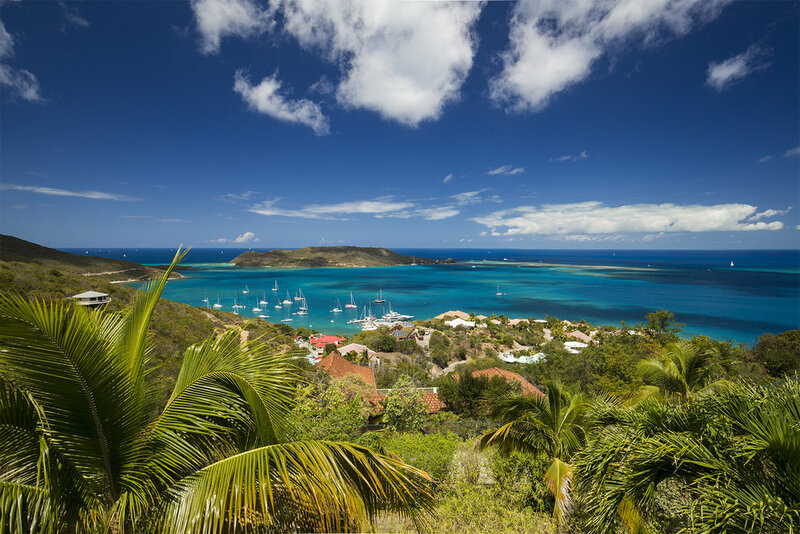 The magnificent view of the North Sound awaits you at Villa Tamar, Leverick Bay in Virgin Gorda. 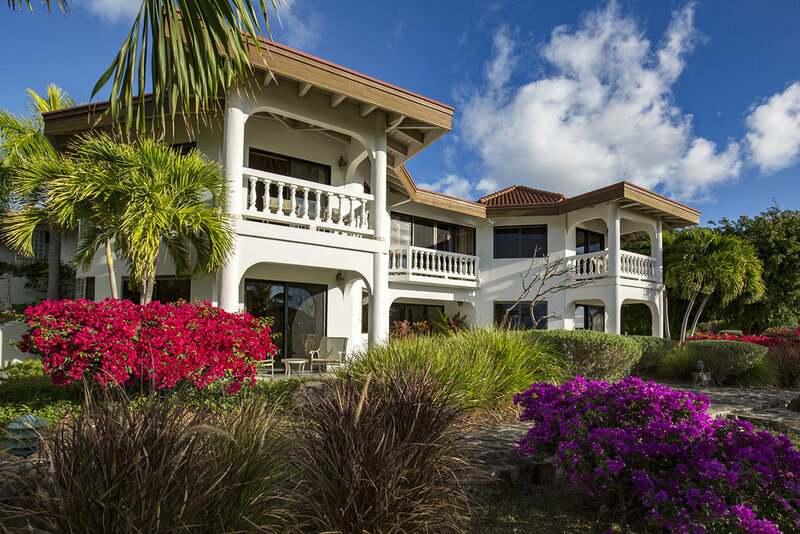 Villa Tamar is the perfect vill for your luxury vacations, for a romantic Caribbean getaway, a family vacation or a corporate getaway. Four spacious master suites with generously proportioned fully-tiled baths and private balconies or patios. Two have separate outside entrances. Each affords privacy yet is conveniently connected to the Great House. Enjoy a cocktail, sunbathe or stargaze at the beautiful swimming pool and convenient half bath adjacent to covered patios. Exercise room outfitted with Precor full work out gym and treadmill with cable TV. Open-air Billiards room. Wireless DSL internet connection available throughout the great room for use with your wireless lap top. Guests also have use of our laundry room. 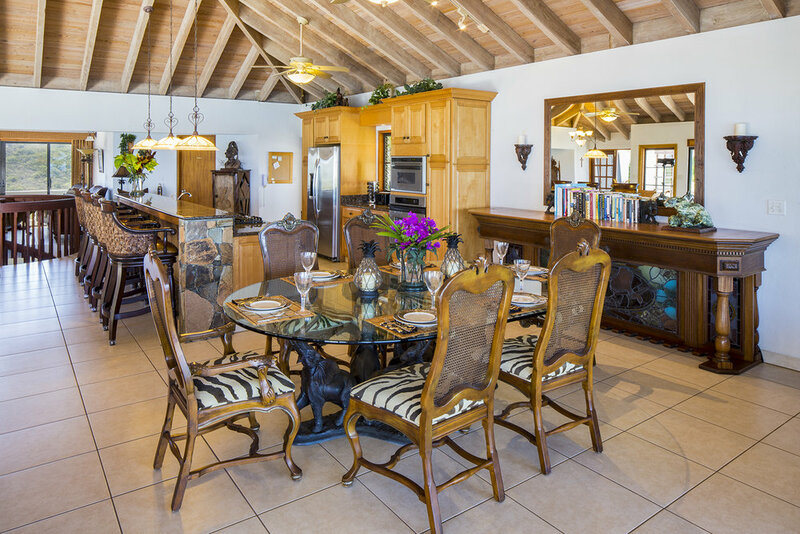 All the modern conveniences, yet with the ambience of carefree island living. Lovely grounds to stretch your legs. Handicap accessible and child friendly. 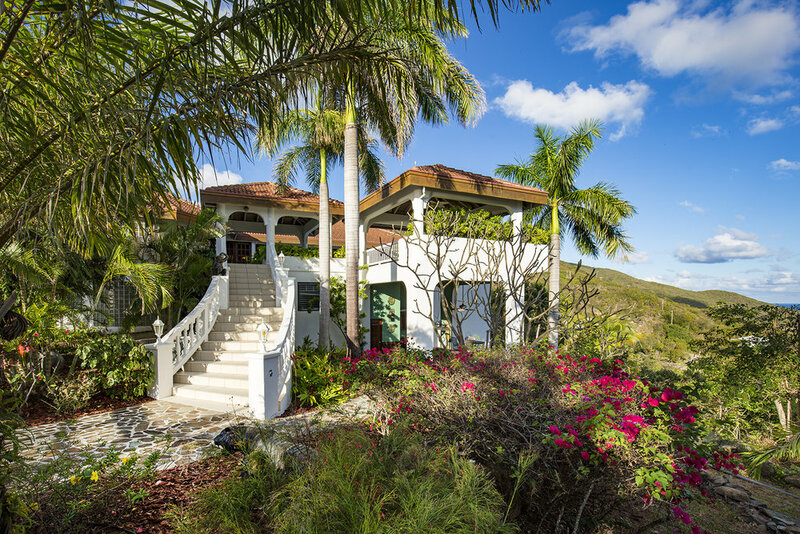 You will enjoy this amazing villa in Virgin Gorda.